Visit Masjid Wazir Khan with Haririi. 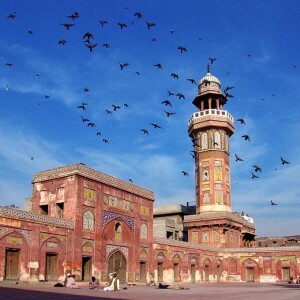 We offer you best tourism package for your Tour to Masjid Wazir Khan. It was built in 1634 by Hakim Ali-ud-din (known as Wazir Khan). Masjid Wazir Khan is made of brick which is faced with colored glazed tile mosaics of Mughal floral designs. First you visit Masjid Wazir Khan and then move on to the Pakistan-Indian border called Wagha Border. For foreign tourist, the Wagah border crossing opens daily between 9am-4pm. You need valid travel documents, health certificates and patience to cross into India.